Another ATM at a Prince George's County convenience store was targeted for theft early Wednesday, the latest in a string of similar crimes that may be connected, according to police. More than a third of a 7-Eleven storefront on Varnum Street in Mount Rainier was destroyed when thieves smashed a truck into a window. 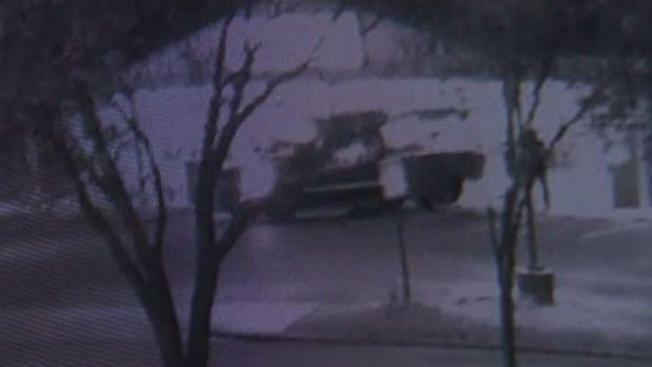 Surveillance video shows the truck backing into the store twice to dislodge the ATM. The thieves failed to get the ATM into the truck, Mount Rainier police said. Prince George's County police said earlier the ATM was taken but later confirmed it was left at the scene. If this sounds somewhat familiar, there have been a series of ATMs targeted in smash-and-grabs in recent weeks. Last week, a 7-Eleven on Watkins Park Drive in Upper Marlboro was damaged but the ATM wasn't taken, police say. The week before, another 7-Eleven ATM was stolen on Edgewood Drive in College Park, police say. And two weeks before that, on March 13th, thieves made off with an ATM from a 7-Eleven on Finns Lane in Lanham, police say. There’s a pattern here: Each incident happened on a Wednesday in Prince George’s County and each incident involves trucks smashing in to stores. “They all happened on Wednesday,” Prince George's County police Officer Ameera Abdullah said. Security footage from the scene is under review.